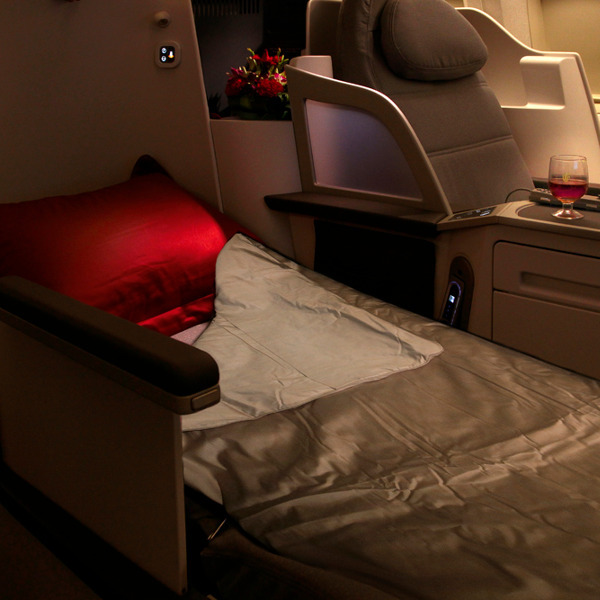 First and Business Class travellers are able to make use of Air China's exclusive chauffeured transfer service. Enjoy first class comforts with Air China's new Pavilion cabins, where you can relax into your journey with fully-reclinable seats, personal storage space and mood lighting to create the ideal atmosphere. Designer labels have never been so accessible. Get all your favourite brands in the convenience of your seat with Air China’s in-flight duty-free shopping. It became very evident to us that Air China’s reputation is of a premium standard given that the President of China makes use of the airline himself. President Xi Jinping does not require his own private airplane like most heads of states, but rather makes use of a regular 747-400 out of Air China’s fleet - must be pretty good then! While most airlines have relatively self-explanatory liveries – flags, coats of arms, national symbols – Air China’s intriguing logo could have you scratching your head. What exactly is it? Well, according to the official company profile, the fluid red lines of the corporate logo depict a phoenix in flight. The mythological bird is said to be a symbol of good luck and happiness, while the bold colour is associated with all things festive and promising in China. At Travelstart, we are proud to be affiliated with an airline such as Air China. For the best deals on Air China bookings and flight specials, book with Travelstart today. 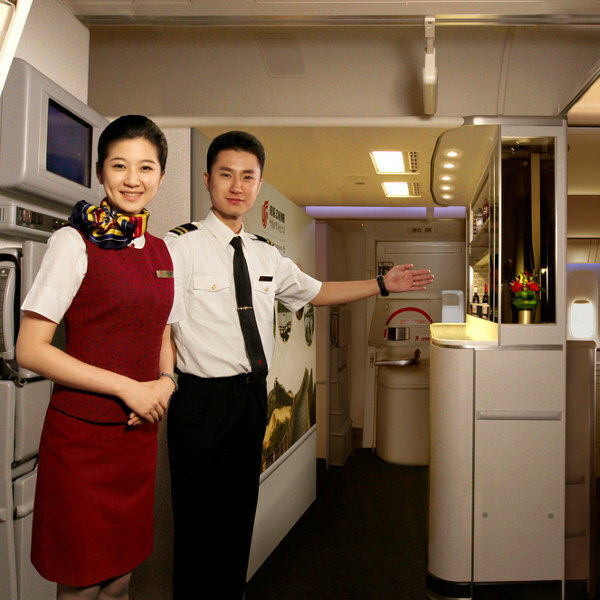 Book Air China flights to Los Angeles, Sao Paulo, Beijing and other exciting places! Passengers are allowed to check two pieces of luggage, each weighing no more than 23kg free of charge. Passengers are allowed to check two pieces of luggage, each weighing no more than 32kg free of charge. Passengers are allowed to check baggage of up to 20kg free of charge. Passengers are allowed to check baggage of up to 30kg free of charge. Passengers are allowed to check baggage of up to 40kg free of charge. Parents are allowed to check up to 10kg of luggage per infant, as well as a foldable stroller or bassinet. 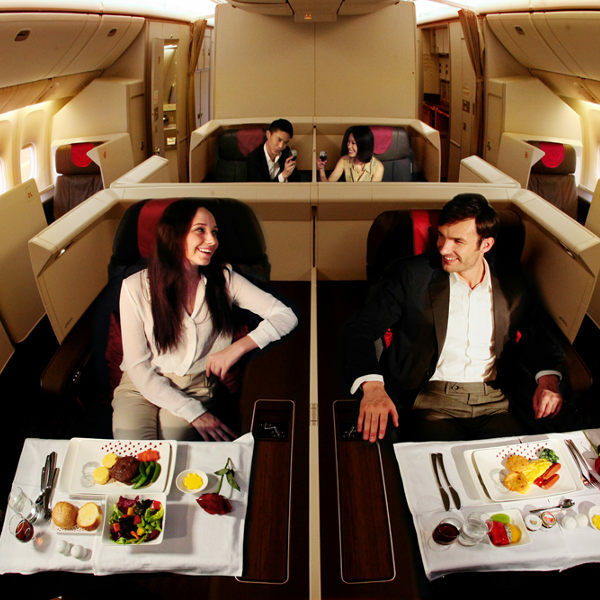 First Class and Business Class passengers can take 2 pieces of luggage each weighing 8kg. Economy Class passengers can take 1 piece of luggage weighing up to 5kg. First Class passengers can take up to 2 pieces of carry-on luggage, weighing 5kg per piece. Business Class and Economy Class passengers can take 1 piece of carry-on luggage not exceeding 5kg in weight. Step 1: Retrieve your booking from the online check-in service by putting in your flight number and name as per your passport. Step 2: Select the flight you would like to check in for. Step 3: Select your preferred seat from an interactive seat map. Step 4: Select the preferred way to obtain the boarding pass. Either save the boarding pass in PDF format, print the boarding pass on A4 paper, or enter your email address and have the electronic version sent to you. Step 1: Retrieve your booking by scanning the photo page of your passport on the self-service machine. Step 3: Select your preferred seat from the seat map. Step 4: Print your boarding pass. For domestic flights, passengers are advised to check in at least 1 hour before the scheduled departure of their flight. Check-in generally closes half an hour before departure. With a variety of bilingual classic movies, a number of in-flight magazines and newspapers, one hundred music CDs and a wide selection of games operated from a state-of-the-art AVOD system, it’s impossible to get bored while travelling with Air China. Air China’s motto of “meeting customer needs” is a constant thread in everything they do and their inflight cuisine is no exception. With signed agreements with 110 catering companies of which 38 are international and 72 domestic, it’s no surprise that the quality of the inflight meals speaks for itself. Air China deploys a vast and effective global network, offering frequent flights to 173 destinations; serving 39 countries with 1100 daily departures.